exhibiting throughout europe, australia and israel, tel aviv-born designer michal fargo established her studio in 2011 with the aim of developing and experimenting with new technical approaches to ceramic-making. for these works, known as the corals and mosses collections, she created the original models by pouring liquid porcelain into a hollowed-out block of foam, letting the weight of the liquid material insert itself into the bubbling pores. 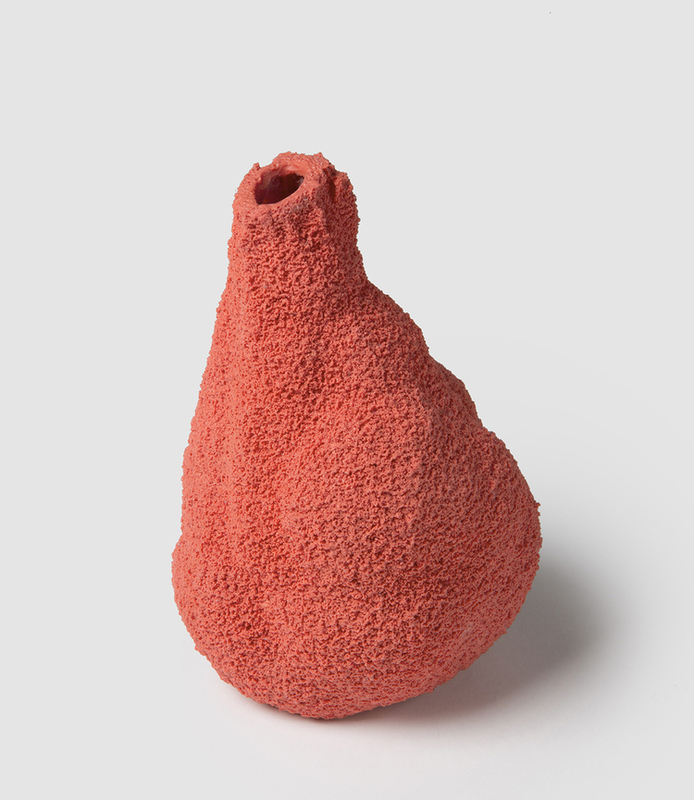 this way of casting, she writes, ‘creates organic shapes that arise depending on physics rather than on pre-arranged decisions’, their final forms being perfectly defined by their own mass.